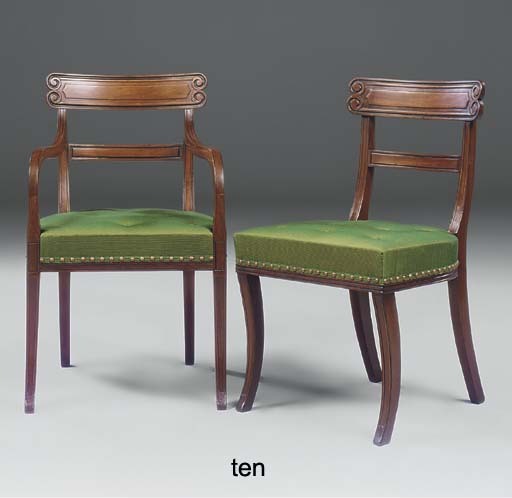 The design for these 'Grecian' chairs derives from a pattern in Thomas Hope's Household Furniture and Interior Decoration, 1807 (pl. 25, no. 4). The same patterned crest-rail featured on a set of chairs from a Long Island Collection, sold Christie's New York, 17 October 2003, lot 172.